they are protected from a torch flashback but this is not true. from flowing into the natural gas pipe. the hose and pipe and it will melt right through a check valve. 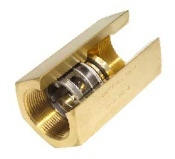 oxygen from getting into the gas pipe, and protect the gas meter. all the gas pressure it needs for top performance. when you set gas pressure at 5 psi. find that it is like the difference between cutting with a sharp knife compared to a dull knife. 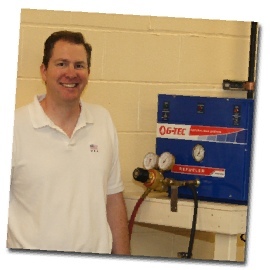 High-pressure natural gas from my G-TEC system gives me more consistent pressure, a cleaner flame and is much more convenient than propane cylinders. Compared to propane natural gas has almost no carbon so there is no soot in the flame and no carbon buildup on my torches. 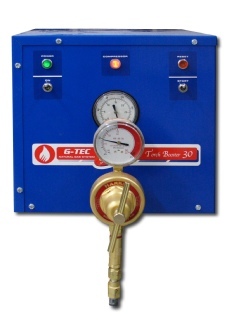 I turn the G-TEC system on in the morning and it supplies all the gas I need, all day. For equal BTUs natural gas costs 50% less than propane! 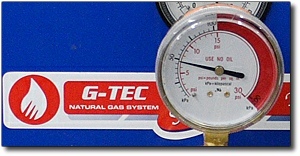 But what most G-TEC owners like best is being connected right to the utility natural gas pipe because they never run out of fuel. No more quick trips to the gas supplier when you run out. And, natural gas is much cleaner than propane - no carbon buildup on your torch tip as happens with propane. No flecks of carbon in the glass and you don’t have to spend time cleaning the torch. 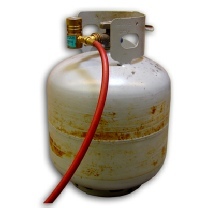 if you use a 1-pound propane tank that would be like having a box with more than 21,500 matches. If you have a 20 lb BBQ propane tank it would be like having more than 431,000 matches in a pile in your studio. 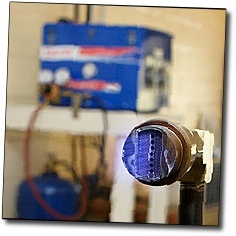 I’m just tickled with the performance of my Safe-T-Gas Torch Booster. Colors that were good with propane just pop with natural gas! 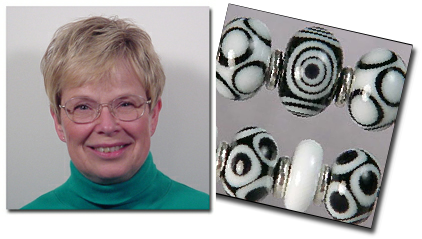 Click on the YouTube link to hear Marj talk about her G-TEC system, and give you a hint for making better dots on your beads! 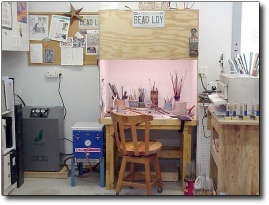 April Larson’s G-TEC Torch Booster sits right next to her bench - it is quiet and convenient! It’s safe - every fire marshal in town and the gas company signed off on it - I’m perfectly legal and I wouldn’t have it any other way. 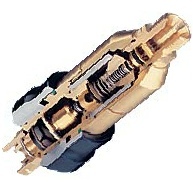 There’s no carbon buildup on the torch head with natural gas. I used to have to clean the hole continually with a little tool to get the carbon out, but I don’t have to do that anymore!